*See Advisor for Complete Details. Present Coupon at Time of Service. Cannot be combined with other offers or coupons. One coupon per customer. No cash value. Does not include tax or fees. Excludes 8 cylinders and M class vehicles. See Service Advisor for exact details. Helps eliminate harmful moisture from your BMW brake system. Service includes:flushing/bleed.inspection.brake system refill with original equipment fluid. Present Coupon at Time of Service. Cannot be combined with other offers or coupons. One coupon per customer. No cash value. Does not include tax or fees. See Service Advisor for exact details. We honor other BMW Dealers' Coupons from any local NJ/NY Metro area BMW authorized dealers. BMW of Bloomfield reserves the option not to accept outside dealers' coupons. $115 up to 1 hour of diagnostic services. Written estimate will be provided for repairs. In store purchases and orders, cannot be combined with other specials, cannot be combined with out online stores. Do you know if your vehicle is due for a recall? bring it to us without the high cost of a body shop. The Older the Better Save on parts you need to restore your vehicle. Save$30 Tire Special on any 2 new tires. Save $75.00 on a new set of four with road hazard provided by BMW. Present Coupon at Time of Service. Cannot be combined with other offers or coupons. One coupon per customer. No cash value. Does not include tax or fees. See Service Advisor for exact details. Offer Expires 04-30-2019. 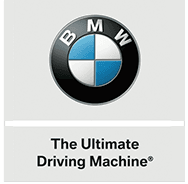 Ask us about the BMW of Bloomfield Remanufactured Engine Program. While you wait, in our comfortable waiting room. Removes deposits from intake valves & injectors. Improves performance and fuel miles, lowers emissions. Prevents loss of the pressure with colder temperatures, increases the life. Present Coupon at Time of Service. Cannot be combines with other offers or coupons. One coupon per customer. No cash value. Does not include tax or fees. See Service Advisor for exact details. Drain and refill with new BMW anti-corrosive coolant, pressure test system and inspect belts and hoses. We have state-of-the-art wheel alignment equipment and the right specs for your BMW. For vehicles without active steering and camera (active steering additional). Prevents loss of tire pressure with colder temperatures, increases tire life. Present Coupon at Time of Service. Cannot be combined with other offers or coupons. One coupon per customer. No cash value. Does not include tax or fees. See Advisor for Complete Details.